The Manasseros in Haiti: He is Risen! As we approach the annual celebration of our risen Christ (Easter) we are reminded that this is not just something worthy of annual recognition but, instead is a daily reason for celebration! Our Lord and Savior is risen! Our Redeemer lives! Halleluiah! It is the significance of this victorious event that causes Satan to shudder and to draw his followers together to create all variety of insignificant events to try to distract believers and potential believers away from the tremendous importance of The Resurrection. 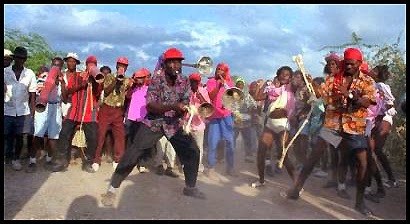 In Haiti, Ra Ra bands will parade the streets at all hours of the day and night, playing dissonant music and conducting drunken dances to celebrate the crucifixion as “their victory” over Christ. Of course, the irony is that we, as believers, also see the cross as “our victory” -- where the sacrifice of the perfect Lamb of God has washed away our sins and given us victory over sin and death for all eternity. Voodoo practitioners will do more marching, make more noise and conduct many sacrifices on Easter to distract and seek to mock the resurrection. But their efforts are mere nuances, wasted breath to try to blow down a mountain, compared to the the majesty and significance of the resurrected Christ! 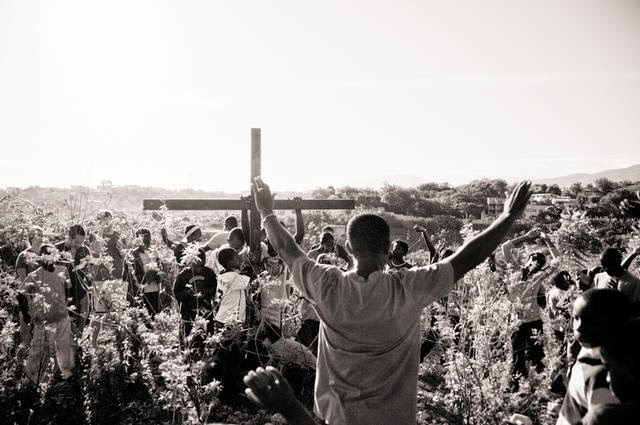 As the children of MDL reach out to share the hope of the cross and the Messiah's resurrection this Easter season, they may face resistance and persecution. Every Saturday morning, they wake up early and go out into the community -- into the ravines, the tents and out onto the streets -- sharing the hope of the Risen Lord. The enemy hates this. But our brave young warriors are strengthened and blessed when they see those they met that week appear at our Saturday and Wednesday evening worship services. Lives are transformed and the Hope of the Nations is lifted up for all to see. Yes, there is victory at the foot of the cross! Please join us in prayer for the month ahead. It will be true warfare! The people who partake in these Ra Ra bands and other voodoo ceremonies are the parents and siblings of MDL children, the mothers and fathers of our feeding program kids and the family members of the students of our school. They are the people who use our medical clinic and were assisted by Child Hope during the earthquake. They are our friends and neighbors. Yet all they need is a chance to hear the Truth, to cut through the cultural melee that occurs this time of year and to embrace the everlasting Hope of a loving Father. It is our prayer that, one day, these people will be regular attenders at our Wednesday or Saturday night worship celebrations. That they will receive Christ as Lord and Savior and that the Truth would set them free. It is our hope, that this season will bring a Harvest of Hope for the people of Haiti. 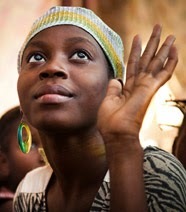 Please pray daily for the people of Haiti and our children as we approach Good Friday and Resurrection Sunday! That the victory we all know will become the same true victory for our Haitian brothers and sisters.